April is here and what a busy month we have on us! Easter is in a couple of weeks and we are busy planning and prepping. Our gardens are looking a little tired after the long winter so we are more than ready for that spring clean! Bare root season is coming to an end but not just yet, with our cold storage we are able to prolong the bare root planting period so get them in whilst you can! For more information on cold storage please see here. Our bargain bundles have made a comeback so get them before they are gone! In cooler areas, and earlier in the month, you can still move and plant evergreen trees and shrubs provided the soil is not waterlogged. They are best moved or planted once actively growing and when there is less risk of cold weather. In colder areas, you can also still plant container-grown deciduous hedging plants, shrubs, trees and climbers. 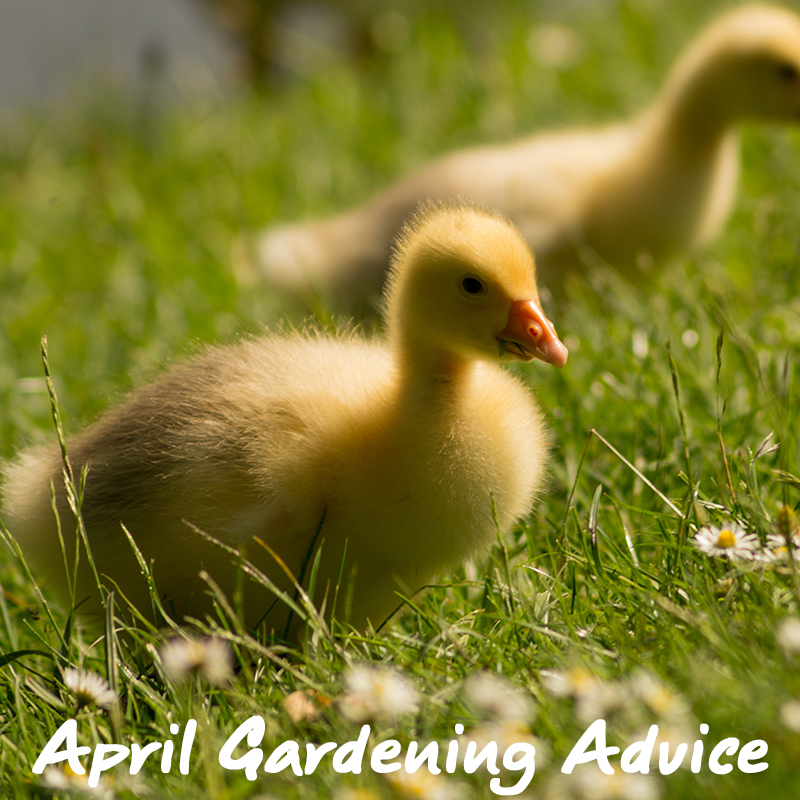 Stakes and rabbit guards should be put in place at the time of planting to prevent damage to the rootball and bark. General tidying ready for BBQ’s! I gave the lawns their first cut on Monday just gone, and already can see that it won’t be long before the next one. When should I do that, do you think?